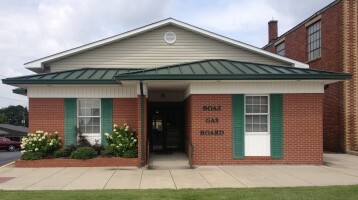 Thanks for visiting the official website of the Boaz Gas Board located in Boaz, Alabama. You’ll find important phone numbers as well as information about natural gas service with us. If you have any questions about this website or would like additional information not found here, please contact the Boaz Gas Board at (256) 593-6764 or by email at boazgas@boazgasboard.com. We look forward to hearing from you. Click to learn what to do if you smell natural gas!